← Is the Daily Mail Website Guilty of Contempt of Court? Neil Lennon Was Not Assaulted by the Man Who Admitted Assaulting Him! Lawyers are often sceptical of media reports of court cases where the media express shock at the decision of a judge or jury. The view amongst the legal profession is that, without having seen and heard all of the evidence, and legal submissions in the case, one cannot offer a properly informed opinion. It is generally not especially constructive to comment upon a court case based only upon the limited reports of proceedings in the newspapers and on television. One such reached a verdict today, in the case against John Wilson, heard before a jury at Edinburgh Sheriff Court. Mr Wilson faced charges that, at a Hearts v Celtic match last season, he had assaulted Neil Lennon, the Celtic manager, and had caused a breach of the peace “by conducting himself in a disorderly manner, running onto the field during the match, running at the away team dug out, shouting, swearing, making a sectarian remark, all to the alarm and annoyance of others and causing further disturbance within the crowd” and that both offences were aggravated by religious prejudice. The jury returned a verdict of guilty on the charge of breach of the peace, with the sectarian element removed, and not proven on the assault charge. Bearing in mind that the incident had been seen by several thousand spectators at the ground, by hundreds of thousands on television, and by large numbers on the Internet, it seemed astonishing that Mr Wilson was contesting the charges at all! That surprise however was overtaken by shock at the jury’s verdict. How could this happen? The “perverse” jury is an age old phenomenon. John Liliburne was acquitted by a jury in 1649 on a charge of High Treason for his opposition to Oliver Cromwell, despite the clear direction of the court that he should be convicted. In Bushel’s Case in 1670 Edward Bushel had previously been a juror in the trail of the Quakers’ founder, William Penn. The jury had returned a verdict with which the judge had disagreed. The judge proceeded to “punish” the jurors, imprisoning and fining them. Bushel stood against this, and it was ruled that a jury could not be punished for the verdict it returned. Even in recent years, such as in the case of Clive Ponting, who had admitted passing on “secrets” to Tam Dalyell, MP, juries have stood against what they consider to be oppressive behaviour by the State. Mr Ponting was effectively guilty of a “Strict liability” offence under the Official Secrets Act 1911. The judge at his trial in 1985 was minded to take the case out of the jury’s hands as no legal defence existed. However the prosecution, perhaps concerned by political implications of a conviction without the jury “rubber stamping” the verdict, insisted that the matter should be put to them. Despite directions that there was no defence, the jury acquitted Mr Ponting. It might seem strange to cite these important cases in connection with that of Mr Wilson. This, at first, seems more akin to a recent case before a jury in a Scottish court where the accused faced two charges. The Sheriff directed that he could be convicted of either, or of none, but not of both. After long consideration, the jury returned to court to seek the Sheriff’s assistance. Could they convict the man on both charges, as that was what they were minded to do? The Sheriff repeated the direction that it was one conviction, or none. After a further short break, and as the clock ticked past 5.30pm, the jury returned. A “Not Proven” verdict was delivered on both charges! The legal process puts itself in peril if it prevents a Scottish jury getting its dinner on time! Already the theories regarding Mr Wilson’s jury being packed with Hearts’ fans or Rangers’ fans are doing the rounds. But comments by David Nicolson, Mr Wilson’s excellent defence counsel, seem perhaps to make the mystery clearer. He is quoted as having said in court that his client had earlier been willing to plead guilty to breach of the peace and assault under deletion of making a sectarian remark and being aggravated by religious prejudice, but the Crown had not accepted his plea. On that basis, as an acceptable plea could not be agreed, the case had to proceed to trial. From the evidence reported, it seems that there was only one witness who spoke in support of the “sectarian remark” allegation. As a consequence it could be argued that there was never any prospect of a conviction on that basis, and the jury, it would appear, seemed to decide to “punish” the prosecution by not convicting the man for an assault he had effectively admitted! Why would the prosecution have taken such a stance, with the consequences it appears to have had? As has been made repeatedly clear by successive Scottish administrations, there are certain types of criminal offence which are of particular concern and which the police and prosecuting authorities focus on stamping out. Offences motivated by prejudice, such as those aggravated by racial or sectarian hatred, domestic violence, and knife crime are all areas where the decision has been taken that extra effort is required to reduce, or even end, these blights on our society. As a result, prosecutors have been given ever more strict guidelines as to how to deal with cases where there is one of these elements alleged to play a part. This can mean that prosecutors no longer have discretion, on a local basis, to remove such a part of a charge, without clearance from Crown Office in Edinburgh. The net effect, as we see here with Mr Wilson, is that cases go to trial which really ought not to, and verdicts are arrived at which, frankly, make the Scottish justice system look ridiculous. The jury’s decision vindicates that plea of not guilty tendered by Mr Wilson’s legal team. To an extent, one can sympathise with the Crown Office who must feel that they are damned if they do, and damned if they don’t. Only last week they were criticised for not acknowledging a racial element in the killing of Mr Simon San. However, it is clear amongst criminal defence lawyers that the approach taken by the Crown Office regarding these matters has resulted in verdicts which seem perverse, with victims having to give evidence in cases where they really ought not to have to, and to substantial additional costs in terms of court expense and Legal Aid. One of the vital elements of the Scottish criminal justice system has always been the discretion given to each local Procurator Fiscal, often deciding how to deal with cases “in the public interest” having taken account of local circumstances and conditions. A “one size fits all” approach is not the best here, I feel. And also the insistence on the part of the Crown that the religious/sectarian aggravations stayed as part of the charges simply confirms what the late Sheriff John Fitzsimons discussed many years ago at a session for Dumbarton Faculty solicitors, where he was speaking about the difference between “racially aggravated offences” and “offences racially aggravated”. These “hate crime” aggravations have now been extended to other areas, as mentioned above, but the late Sheriff felt that these semantic distinctions, which were important as far as disposal of a case was concerned, were confusing enough for the Sheriffs, never mind the jurors who might be required to consider them in serious cases. The chickens have come home to roost today and Mr Wilson has benefited, as far as his verdict goes anyway, from the apparent insistence of the Crown to have a sectarian element attached to his conviction, perhaps especially as this incident formed part of the shameful sequence of events surrounding football earlier this year which caused the SNP Ministers to promote the flawed Offensive Behaviour at Football and Threatening Communications (Scotland) Bill and had the First Minister referring to the “cancer” of sectarianism. We now have a man who undoubtedly was guilty of an assault, aggravated by the circumstances in which it took place, cleared of that offence. This makes the campaign against the curse of sectarianism seem lacklustre. Hopefully it will not provoke the Justice Secretary into deciding that the Bill referred to above should be revised to make it easier to gain such convictions. Instead it would be better if the level of Procurator Fiscal independence, within the Crown Office framework as was the case of old, could be restored. If not, I suspect we will see continuing cases where apparently ridiculous verdicts are returned, and whilst this is a good thing for newspapers and bloggers with space to fill, it undermines and demeans the whole justice system. I don’t disagree with much of what you say, but what I don’t understand is, if the jury removed the sectarian element of the breach of the peace charge, why did they not also remove the sectarian element of the assault charge and convict the guy of an assault which he admitted in court and which thousands of people witnessed? BTW I do not accept for a minute that there wasn’t a sectarian element – I would be astonished in the circumstances if that were not the case – however, if the jury could not, for whatever reason, accept the sectarian aspect of the charge, how and why on earth did they not accept that an assault occurred? That’s well worth a read too! Well written but still not completely clear. I can’t do anything in one sentence! Short version – Neil Lennon attacjed by person during game and incident caught on TV – jury acquit accused of assault, but convict of Breach of Peace, but not as a sectarian offence. Media go mad to work out how jury could reach such a verdict. Thanks for the comment – and for the original article, which I think is excellent, BTW. I accept some of Chis Fyffe’s comments, but some of it is, I fear, angels dancing on a pin-head. My concern is how and why a jury, faced with an admission by the accused of an assault in his self-proclaimed ‘moment of madness’ (what else was he intending to do?) could go on to find the charge of assault ‘not proven’. I accept that I did not see all the evidence, but at best, it leaves me with the suspicion that the jury was trying to punish some perceived transgression by the prosecution and at worst, well, I’ll refrain from speculating. Thank you – I aim to please! I think Chris Fyffe’s trying to find possible justifications for the verdict, even if only to counteract the type of suggestion likely to come, as indeed Paul McBride QC was hinting at on Newsnight when talking about jurors in Scotland who couldn’t read or count and who were laden with prejudices! There is a perceived reluctance in certain courts in Scotland for juries to convict, no matter how strong the evidence, it seems. In some places, it would appear, the jurors have little time for the authorities, it seems, and delight in letting the accused off. I am not, for a moment, suggesting anythging of that nature as rgeards the 15 good and true men and women who sat in Mr Wilson’s case however. And whilst the sanctitiy of jury discussion is protected by law, we are not going to find out why that verdict passed either! astounding verdict setting a very risky precedent.. There is a boring old saying that “Hard cases make bad law”. This might simply be a one off decision by a jury who were hacked off by the prosecution, for example. Two related dangers – (a) it makes Scots law out to be idiotic (which it is not) and (b) the verdict leads to changes which are unnecessary. 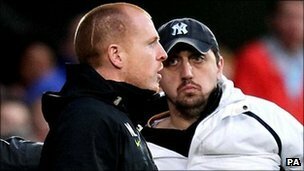 Legally Mr Wilson did not assault Neil Lennon…bizarre though that seems. The verdict is going to cause a lot of people to be very confused about what happened! In law there is no difference between not proven and not guilty. In either case the accused is acquitted of the particular offence. The verdict shows that the Crown failed to provem beyond a reasonable doubt, that the accused did what he was alleged to have done. In general, rather than referring to this specific case, this could be, for example, because the jury decides that whilst the criminal act took place, the necessary intention or wilful recklessness was not present. As an example, it would be an assault to punch someone on the back, but not if the puncher was doing so to dislodge a fish bone caught in the punchee’s throat! Coming back to this case, Mr Wilson told the court that he was not intending to assault Neil Lennon, and it might be the case that this evidence was enough to allow the jury to determine that the crucial mental element of the crime was not there. @Paul, thanks for the explanation. Well, I said I’m no legal expert – I rest my case! He couldn’t bring a private prosecution for assault because Mr Wilson has been acquitted on that charge. He could, in theory, raise a civil action for damages against Mr Wilson alleging he suffered injury of some sort – but as you say, he’s not going to waste time or monay doing that. Thanks for the very interesting and thought-provoking article. I’d be grateful if you could clarify one point, however: if the jury was entitled to delete the reference to sectarian aggravation in the breach of the peace charge, why were they unable (or unwilling) to do the same with the assault charge? The jury was entitled to convict Mr Wilson of assualt under deletion of the sectarian “aggravation”. Quite why they decided to acquit on that charge entirely, rather than convict of asault on a restricted basis, must remain locked behind the jury room doors! May I ask the question if Wilson did not act out of bigotry what was the defence’s reason why he would leave the stands run on the field and assault (sorry) Lennon – an aversion to red hair ? From what was reported, his explanation was that, after consuming lots of alohol (and it is a separate offence to seek to enter a football ground when drunk, though no-one is ever charged with that) he jumped over the fence to run to Lennon to tell him, effectively, that he did not like him, but as he was doing so, he realised he was being a bit silly, and slipped to the ground. As you can imagine, I paraphrase a little there! The independent observer of the footage can have their own ideas, but of course the jury, based on all the evidence they heard, decided differently.